Global Grant Scholarships (value: US$30,000) support graduate study in one of Rotary’s six areas of focus, by students from District 5360 at universities outside of Canada. Preference is given to students starting new programs of study, normally at the master’s level. Rotary’s six areas of focus are peace and conflict prevention/resolution, disease prevention and treatment, water and sanitation, maternal and child health, basic education and literacy, and economic and community development. Scholarships are available for 2019-20 and study must start after July 1, 2019. 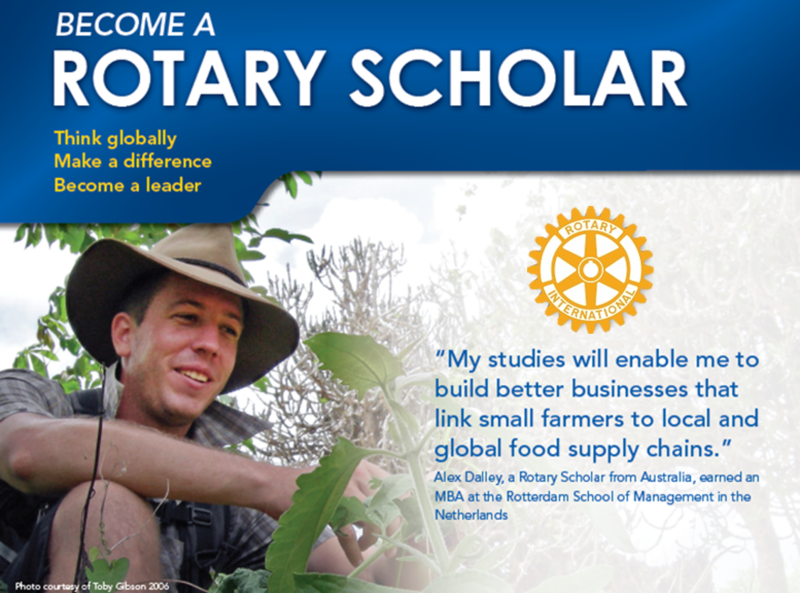 Rotarians, descendants of Rotarians, or ancestors of Rotarians are not eligible for this scholarship. Application Link: Submit an application form, copies of university transcripts, your CV and two confidential letters of reference that speak to your involvement in one or more of Rotary's six areas of focus to Hendrik Kraay, Rotary District 5360 Scholarship Team Lead. For More Information, see please view the GGS Flyer or contact Hendrik Kraay, District 5360 Scholarship Team Lead, 403-852-9531. Brandon McNally is an MSc student at Leiden University in The Netherlands where he studies International Relations and Diplomacy. The program trains students in the areas of mediation and negotiation while providing an in-depth study of the areas which affect the international realm (such as law and the economy). Brandon’s specific interests lay in evaluating the connection between the environment and conflict. Brandon obtained a BA Political Science with a minor in Religious Studies from The University Lethbridge. During his time at the University of Lethbridge Brandon was an active participant in student government, a board member of the Lethbridge Public Interest Research Group (LPIRG), and member of several campus clubs/organisations. He was the recipient of The University of Lethbridge President’s Grant for International Community Engagement, with which he went to Nepal to intern at ECCA, an environmental NGO. He also gained extensive research experience by independently completing field research on the Navadurga, a tantric Hindu tradition, and through his role as a research assistant for Dr. Rodrigues in the final year of his BA. Human rights has always been a passion of Brandon’s. He has been a member of Amnesty International in various capacities, including a National Youth Coordinator for Amnesty International Canada’s English branch. Following his undergraduate Brandon worked for Peace Brigades International (PBI) in Kenya as a field officer. PBI provides security mechanisms for human rights defenders at risk. Brandon assisted in providing security assessments, accompaniments, advocacy, as well as recommending and fulfilling non-violent protection measures. 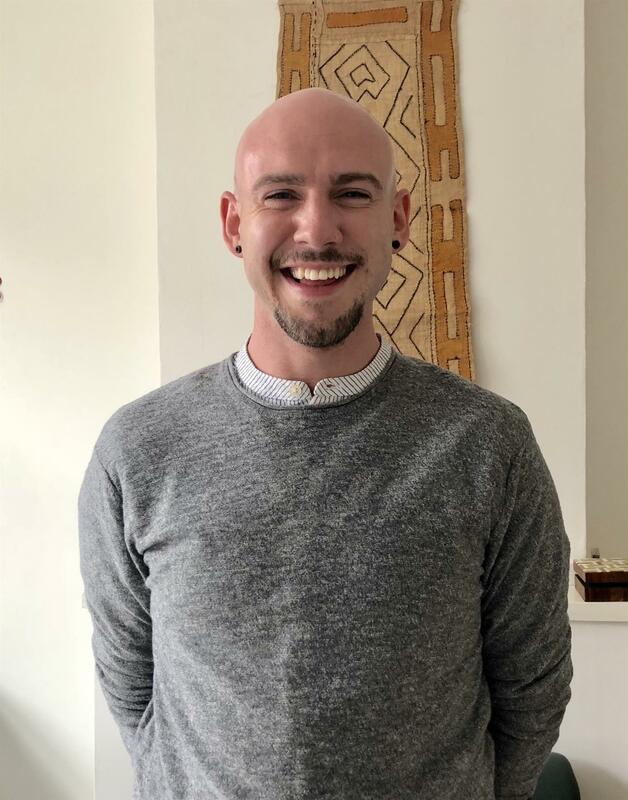 After completing his master’s degree Brandon intends to work on diffusing conflict and developing peace in order to help build stable societies where human rights are respected and advanced. To find out more about Brandon’s career, visit his LinkedIn page. Aneel is a PhD student in medical anthropology at the University of Oxford. His principal concern as a researcher is the sociosomatic condition of humanity—i.e. how social, political, and economic forces register on the body and serve to deepen inequality and health disparity. His work focuses on disempowered women in rural Rajasthan, India—specifically on how social forces become embodied as illness among pregnant women and young mothers. Aneel’s objective as a medical anthropologist is to translate lessons from research into policies and programs that reduce structural violence and advance health equity. In addition to his PhD work, Aneel works as the Chief Operating Officer of the Mata Jai Kaur Maternal and Child Health Centre (MJK), a non-profit organization that provides prenatal care, safe childbirth, and mental health services to low­ income and vulnerable women in rural Rajasthan, India. MJK is a collaborative effort of the Prominent Homes Charitable Organization based in Calgary, Canada, and the local Rajasthani community. As part of this work, Aneel is leading the development and implementation of a community-based maternal mental health intervention funded by Grand Challenges Canada. Aneel is born and raised in Calgary, graduating from the University of Calgary with bachelor’s degrees in biology and political science (though, as a running back for the U of C Dinos, his focus back then was mostly on football). He then received a master’s in political science from McGill University focusing on international development. Before MJK, Aneel worked with Canada’s International Development Research Centre (IDRC) and has represented Canada at several North Atlantic Treaty Organization (NATO) youth leadership forums on development and security in Afghanistan. After several years working and living in rural India, Aneel decided to return to graduate school to develop specific skills related to global health. He graduated with a Master of Medical Sciences degree in Global Health Delivery from Harvard University, and recently completed a year as a Visiting Academic at Harvard Medical School’s Department of Global Health and Social Medicine. 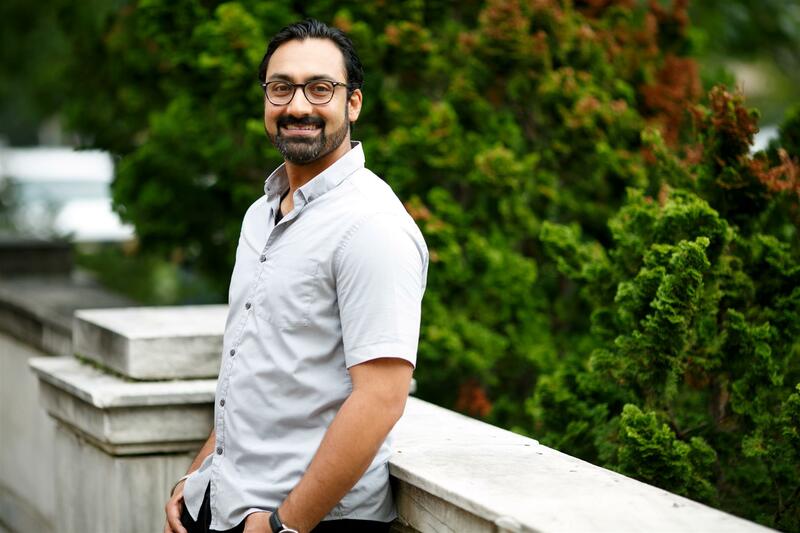 Aneel’s long-term goals are to continue working at the nexus of global health research and practice and fostering the connection between rural India and Canada. He hopes to continue working towards finding solutions to global health issues in India, but also among vulnerable populations in his native Alberta. To find out more about Aneel’s career, visit his LinkedIn page. Jay Wang was born in China and grew up in Calgary. He received Bachelor of Health Sciences, majoring in Biomedical Sciences, from the Universtiy of Calgary in 2014 with First Class Honours. A recipient of the President's Award for Excellence in Student Leadership, the RBC Students Leading Change Scholarship, and the Professional Institute of the Public Service of Canada Scholarship, Jay has a passion for science, learning, volunteerism, community services and global development. From collecting minerals and fossils to astrophotography, there are not many scientific fields that he is not interested in. Starting research in high school, he has experience in both medical and astrophysics research. Nothing fascinates him more however than the brain! In the pursuit of collecting expertise in neuroscience from the best, he has chosen to explore the mind and brain in the top schools all over the world through internships in the Florey Institute of Neuroscience and Mental Health, Australia; the University of Tokyo, Japan; the Karolinska Institutet, Sweden; and the University of Cambridge, UK). None of this could have happened without support from the Global Grant Scholarship and Rotarians from around the world! Jay enjoys personal and global development through volunteering and community services. He has volunteered with Telus Spark Science Centre, Let's Talk Science, Alberta Children's Hospital, Women's Resource Center, and has learned about empowerment of international communities in Kenya and helping with cancer fundraisers and science olympics in Germany. In Calgary, he served as an advisor to the president of the University of Calgary for the China Regional Advisory Council and was voted the Elected Official of the Year as the Students' Union Faculty of Medicine representative. Moreover, he helped organize national science competitions for junior high and high students for Let's Talk Science and raise money for Canadian Cancer Foundation through Relay for Life and UC Idol. 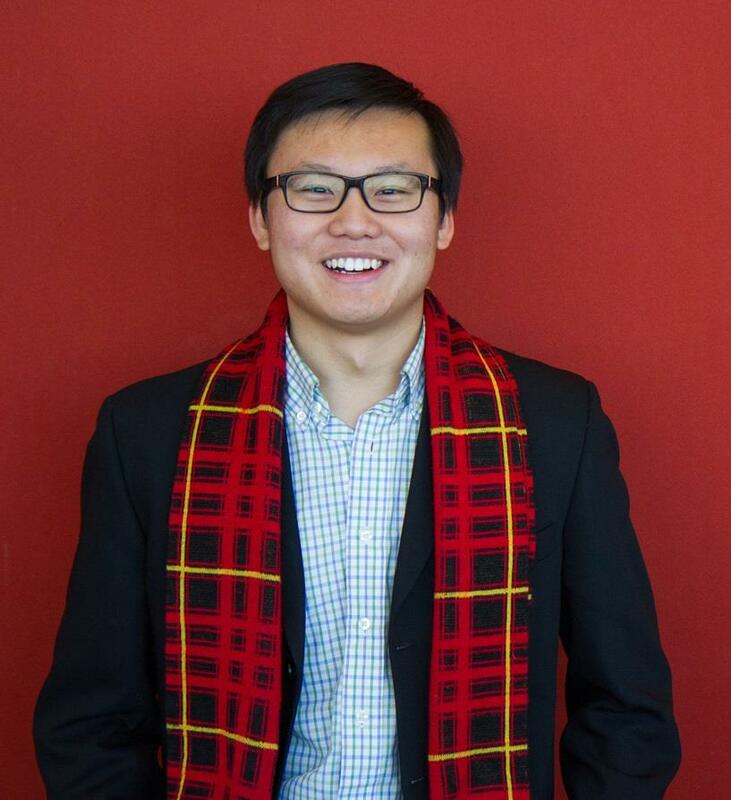 With the opportunities to study and learn all over the world, Jay hopes to have a better grasp of the local and international issues that are intertwined together through his journey. After completing his Master degree in 2019, he hopes to continue his education towards a PhD and an MD and to work towards international development. To find out more about where Jay’s career is taking him, visit his Linkedin page. Leah is a MPhil student in Multi-Disciplinary Gender Studies at the University of Cambridge (Queen’s College), where she studies feminist approaches to international relations and security studies, with a focus on theorizing embodied subjects under violence. Leah has worked with Amnesty International, Global Affairs Canada, and the Permanent Mission of Canada to the United Nations (NYC) and is a passionate advocate for politicalized marginal identities. In her previous professional experience, she has supported research on the national American Women’s Rights policy blueprint for the 2017 Federal Presidential Administration under the National Organization for Women; spent three years leading queer advocacy and safe space creation as Coordinator of the University of Calgary Student’s Union Q Centre for Sexual and Gender Diversity; was selected as the Girls and Young Women’s Advisory Council Representative under Status of Women Canada; and served as a post-secondary representative for the Canadian Research Institute for the Advancement of Women and the Disabled Woman’s Network of Canada. She has also served in various conference leadership positions for the National Collegiate Conference Association (National Model UN), University of Calgary High School Model UN, the national Political Science Students’ Association, World Health Organization Simulation, and has led the University of Calgary Model United Nations Team to rank in the Top 50 North American Teams, among involvement with numerous other student clubs and organizations. 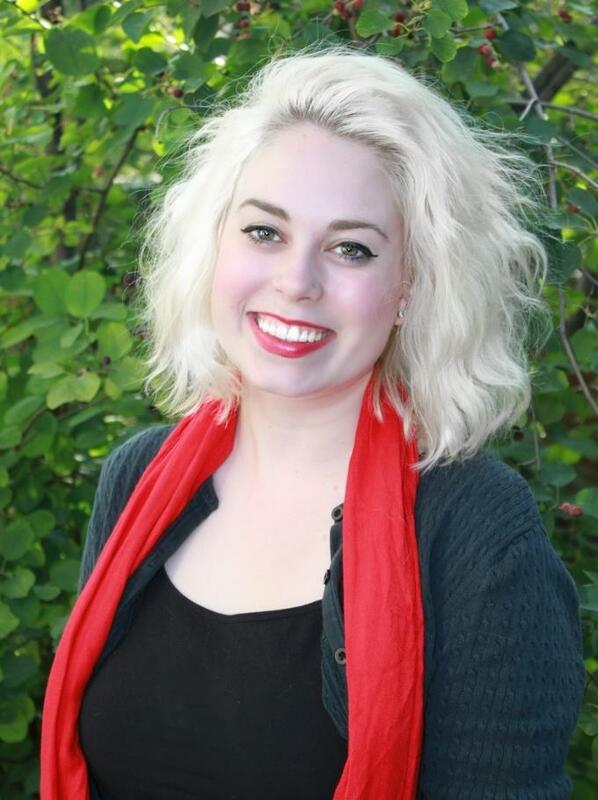 Leah is a Fulbright Canada Killam Fellow, having previously completed graduate research on queer theories and discursive pedagogies at American University in Washington, DC. She has also received the Top 30 Under 30 Award, the Laurence Decore Award for Student Leadership, the Alyson Woloshyn Legacy of Leadership Award, and the Chevening Scholarship for her work in grassroots social justice organizing. As a student, she was a competitive Irish Dancer, classical vocalist, and jazz pianist, and is currently directing Alberta’s first full-length documentary on queer and social justice organizing as Artist-in-Resident under Fairytales Queer Presentation Society. 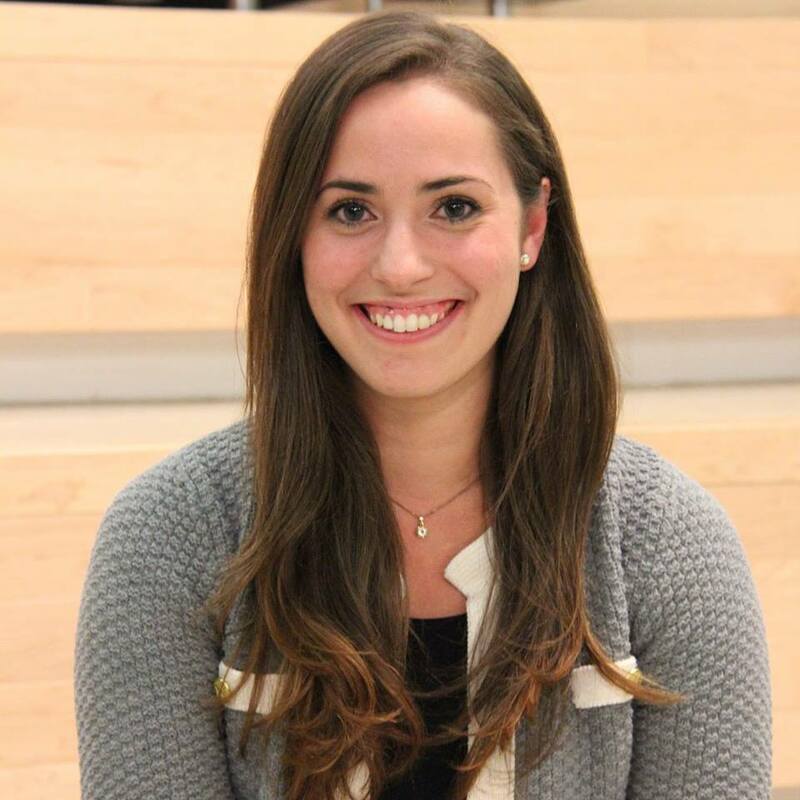 Upon the completion of her graduate studies, Leah aims to continue representing Canada in human rights and anti-violence policy work on the international stage through forums under the United Nations. She is excited to visit the UK for the first time, and thrilled to get the opportunity to explore all of the academic, cultural, and professional opportunities Cambridge has to offer. 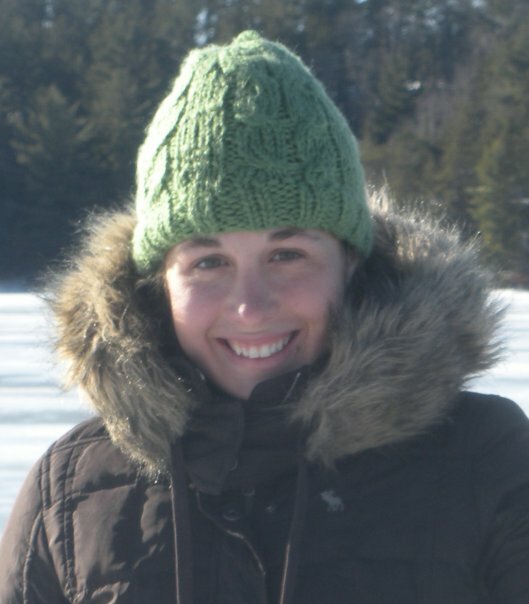 See where Leah’s career has taken her since her Global Grant Scholarship by visiting her LinkedIn page or following her on Twitter at @lmschmidt42. Sarah Pousette, MA in International Economics with a concentration in Development Economics, Graduate Institute of International and Development Studies,Geneva, Switzerland (Rotary Club or Calgary-Heritage Park and Genève-Internationale), Global Grant Scholar, 2016-2018. Sarah initially moved to Calgary from Prince George, British Columbia, to train for Long Track Speed Skating at the National Training Centre located at the Olympic Oval. After several years of skating and school, Sarah decided to trade her Olympic ambitions for a new dream of working in the field of International Development. Extremely passionate about women’s social and economic empowerment, Sarah spent two summers of her undergraduate degree conducting research in Ghana on women’s empowerment through vocational training programs and microfinance. In Calgary, she sat on the Board of Directors and hosted a radio show for CJSW 90.9, was the Vice President Operations and Finance for the University of Calgary Students’ Union, coached with the Calgary Speed Skating Club, and chaired the University of Calgary Refugee Student Board. Since she grew up without watching TV (except for the Olympics every four years) Sarah likes to spend her spare time on things she loves: camping, hiking, drinking decaf coffee and reading. She hopes that, while living in Geneva, she will have a little bit of time between her studying to continue to do that! See more about Sarah Pousette’s career on her LinkedIn page. Prior to beginning her Master's program, Jiliane has worked as a Page in the House of Commons, as a Parliamentary Tour Guide, and as an English Teacher in Istanbul. 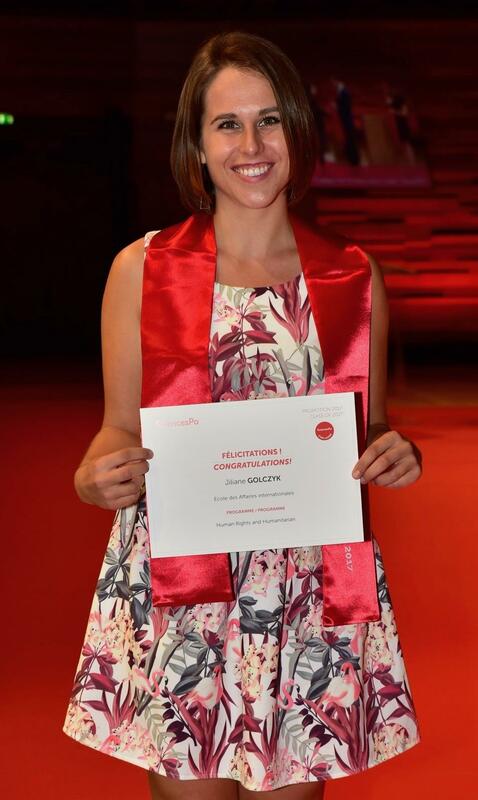 While completing her Master's degree, Jiliane worked as an analyst for Noria Research and volunteered extensively with migrants and refugees in the Paris region as a member of Sciences Po Refugee Help. In 2016, Jiliane completed an internship at the UNESCO Regional Office for Central America, based in San José, Costa Rica, where she worked to prevent violence as well as to promote the rights of youth, women, indigenous peoples and Afro-descendants in the region. In September 2017, Jiliane began working in the Policy Officer Recruitment Programme with the Department of National Defence in Ottawa. See where Jiliane’s career has taken her since her Global Grant Scholarship by visiting her LinkedIn page. Mark Brown graduated from Western Canada High School in Calgary and received his BSc from the University of Victoria in 2010. After working with Engineers without Borders, he founded an agricultural investment fund in Ghana to assist small farmers in developing their businesses. Too large to benefit from microcredit financing and too small to access conventional bank loans, these small farmers are unable to develop the full potential of their businesses. In 2015-16, Mr. Brown held a Global Grant Scholarship from District 5360 to study social entrepreneurship at the Saïd Business School, University of Oxford. I have decided to design my career to work on the world’s most important problems. 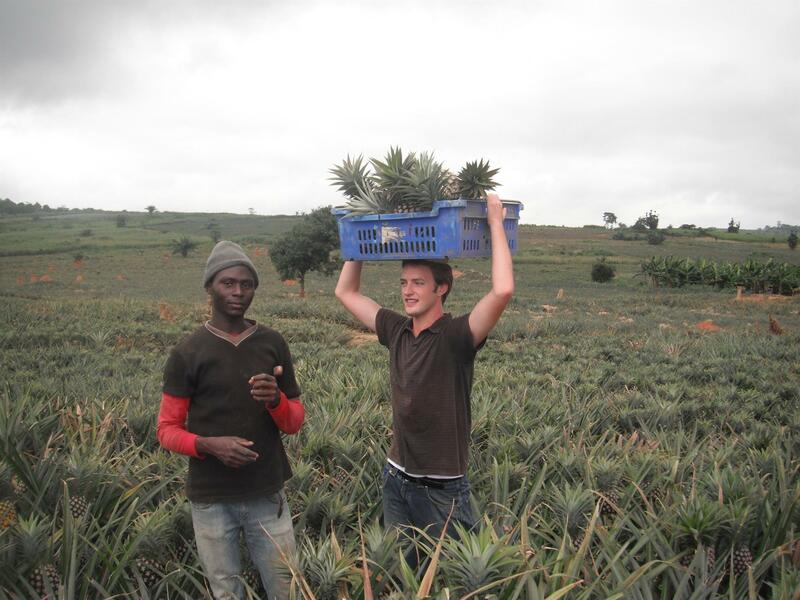 The first chapter drew me to economic development in Ghana through agriculture. After consulting with Engineers Without Borders for a few years, I started Kulemela Investments, a first of its kind agricultural investment fund. I have had the opportunity to work with amazing people and I have learned some incredible lessons. I also reached a point where I had to take my business skills to the next level and synthesise the work experiences which I had accumulated over the years in order to tackle the next level of challenges. 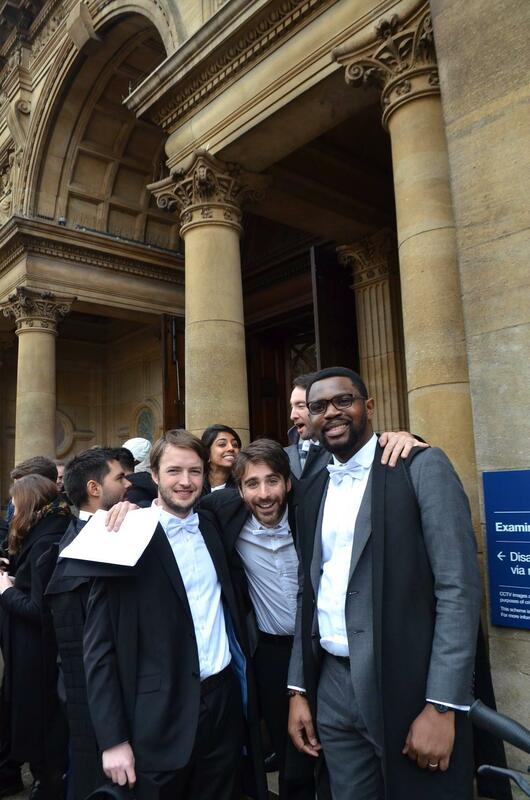 I applied to the best social impact-focused MBA in the world – the University of Oxford’s Saïd Business School. My experience at Oxford has been incredible. 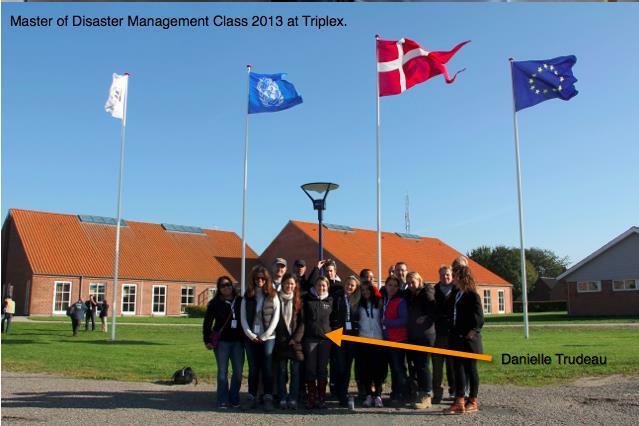 It is truly a world-class group of students and lecturers, both in the program and in the wider University. I have developed a global network of new incredible colleagues and have had some fantastic personal opportunities. My highlights thus far include being selected to co-chair the Oxford Seed Fund, which invests university endowment in early stage businesses and innovations founded by Oxford alumni and students. I was among six students to be invited to the Skoll World Forum, the largest social enterprise conference in the world. I am already interviewing with some the most world-renowned international development consultancies. I am even representing Oxford on the Varsity Blues ice hockey team. The entrepreneurial and social impact-focused electives in my program have helped me understand the business landscape in a way that matches my values instead of just emphasising shareholder profits. This degree is having a truly transformative impact on the trajectory of my career and I will be so much better equipped to continue to work on the world’s most important problems when I am done. None of these amazing opportunities would have been available to me without the help of the Rotary Global Scholarship from Calgary Olympic District 5360 in my hometown of Calgary. The local host Rotary Club of Faringdon District 1090 has also been incredibly welcoming and helped my wife and I settle in and acclimatise to Britain. They have also arranged visits with fellow scholars, taken us on outings to historic sites and invited me to speak at local club meetings. See where Mark Brown’s career has taken him since his Global Grant Scholarship by visiting his Linkedin page. 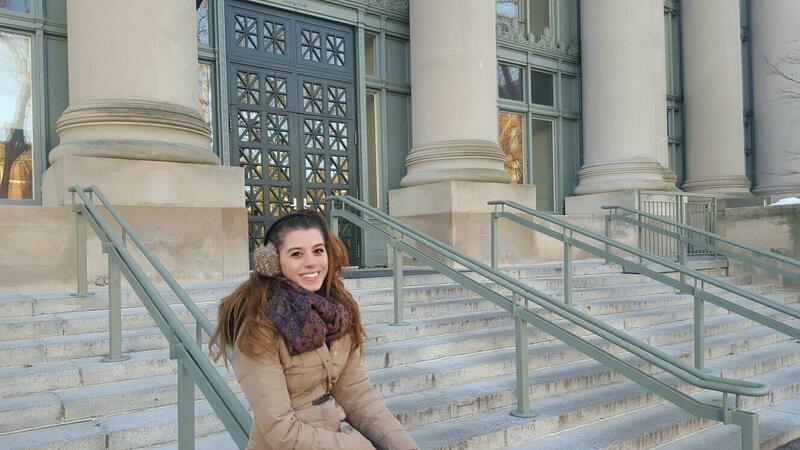 Romá Souraya received her BA in international relations from the University of Calgary in 2015 and received a Global Grant Scholarship to study international education policy at Harvard University. A native of Calgary, she lived in Lebanon and Brazil. She was the first person in her family to earn a university degree. As a student in Calgary, she volunteered with the Calgary Bridge Foundation for Youth, where she worked to help immigrant youth who were having difficulties in school. Upon completion of her studies, Ms. Souraya took an internship with Girl Rising in New York, an NGO that promotes education for girls. See where Romá Souraya’s career has taken her since her Global Grant Scholarship by visiting her Linkedin page. 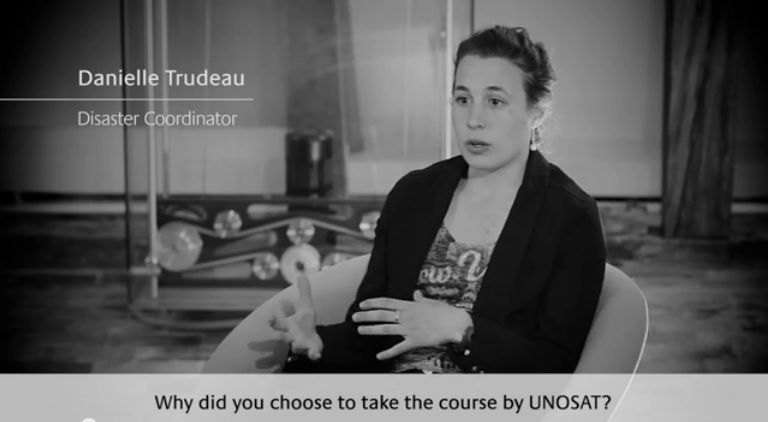 The Global Grant Scholarship provided Ms. Trudeau with numerous career opportunities. She was accepted onto the International Federation of Red Cross and Red Crescent (IFRC) Regional Disaster Response Team for the Americas and sent to French Guiana for training (June 2014). She was also accepted onto the Canadian Civilian Roster (CANADEM) for disaster management which resulted to being trained in Berlin on Information Management in disasters and was on the standby roster with the United Nations Office of Coordination for Humanitarian Affairs (UNOCHA). She held an internship for the United Nations Office of Project Services (UNOPS) in the People Capabilities section of the Partnership Practice Group designing, developing, and rolling out business development training for Asia, Africa, Americas and the Middle East. She was asked to support the City of Iqaluit in its redesign of emergency preparedness and response and participated as an observer on behalf of Canadian Red Cross in Operation Nanook, Canada’s largest emergency response simulation in the Territories. She was invited to participate as one of three Canadians in a new roll-out of methodology for the Red Cross to evaluate disaster management programs in Africa. See where Danny Trudeau’s career has taken her since her Global Grant Scholarship by visiting her Linkedin page.